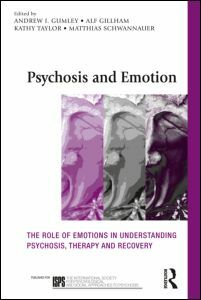 Can Biological and Psychological Intervention be Integrated in the Treatment of Psychosis? Probably Not. The nightmare keeps on after I wake up. My stepmother beating me. If I escape from this place and kill her, will it stop? A week and 5 sessions later without medication, he was no longer psychotic and continued psychotherapy while carrying out work assignments. I didn’t stop anywhere. I was walking for five days and nights, I had a gun in my pocket, and I was going to start shooting. I didn’t know where, it might be a bus station. But the voices knew and they would tell me. A week and 5 sessions later he was not hallucinating, and able to continue psychotherapy and carry out his work assignments. My husband saw a psychiatrist in New York and then in Lansing. He was on medication and psychotherapy. He got worse. The medication was increased. But he got worse. He was hospitalized. More medications and they were increased. Still he got worse. All his psychiatrists say he is an incurable schizophrenic whose only hope is shock treatment, which probably won’t cure him, but it is the only hope he has. I began psychotherapy and stopped all medication. Six months later he was back at work. Fourteen years later he was an internationally renowned scholar and teacher, as well as a good father and husband. On the other hand, I did not help the patient diagnosed by the medical staff as a postpartum catatonic, who died from a cerebral embolism the day I was to start therapy, nor did my student help the patient diagnosed as catatonic when the embolism in her leg moved to her lungs and killed her, nor the patient diagnosed as schizophrenic with undiagnosed diffuse brain damage from chronic high dosages of street drugs. I did not help the hysterical walking disorder in a paranoid schizophrenic, later diagnosed with multiple sclerosis, although her hallucinations and delusions cleared up. And I was only partially helpful to the schizophrenic with diffuse brain damage probably due to ten years of psychiatric medication. Contrary to fact, DSM-IV (American Psychiatric Association, 1994, p. 282) states that Complete remission (i.e., a return to full premorbid functioning) is probably not common in this disorder. But it may be true for patients who stay on their medication. In Harding’s (1988) study the 30% of patients who fully recovered were among the 50% who had stopped taking their medication. Ciompi’s (1980) 40 year follow-up data from Switzerland from 1900 on, and the other studies which followed schizophrenics for more than 25 years, from Switzerland, Germany, Scandinavia, and the United States (Harding, 1995; Harding, Zubin, and Strauss, 1987) found that 30% fully recovered in the long run, and that 60% to 70% became self-sufficient. Re-diagnosing the patients, using DSM criteria made no difference in predicting long-term outcomes, nor did modern medications. Schizophrenics are advised never to have children. But 80% of children of schizophrenics raised by their schizophrenic parent never become schizophrenic. Further, the 20% rate of schizophrenia can be lowered by preventive counseling (M. Bleuler, 1978). At the end of the eighteenth century, moral treatment worked (Bockoven, 1972). 60-80% of patients were discharged. Based on the records of the same hospitals, after moral treatment was abandoned for physical treatments, the discharge rates dropped to 20 to 30% (Alexander & Selesnick, 1966; Bockoven, 1972; Whitaker, 1992). But when Eugen Bleuler applied Freud’s ideas to his patients at Burgholzli, three times as many were discharged (Federn, 1943). By the middle of the twentieth century, psychodynamic therapies were developed. Comprehensive surveys in the United States show 28% favorable outcome before 1925, 49% from 1956-1986 when psychotherapy was most likely to be offered; and 36% from 1986 to 1994 (Hegarty, et al., 1994). Today psychotherapies have largely been abandoned, and patients have stopped getting better. Deikman and Whitaker (1979) instituted a regimen of purely psychological treatment on one experimental ward of a psychiatric hospital. Despite dire warnings that their failure to medicate constituted malpractice, their ward program decreased rehospitalization. There were no suicides, suicide attempts, or elopements during the 11 months in which the ward was fully operative. A comparison ward, more fully staffed and using expert psychopharmacology, had three suicides in the same period, despite sending its more disturbed patients to a long-term state hospital. Despite its success, the experiment was discontinued and never imitated. When the Michigan State Psychotherapy Project (Karon & VandenBos, 1981) randomly assigned schizophrenic patients to (a) an average of 70 sessions of psychoanalytic psychotherapy, (b) medication used effectively, or (c) a combination of the two, blind evaluation showed that psychotherapy alone, or with initial medication that was withdrawn as the patients could tolerate it, led to earlier discharge from the hospital, kept the patients out of the hospital, and improved their thought disorders more than medication did, and the patients lived a more human life in a variety of ways. Psychotherapy with maintenance medication was better than medication alone, but not as good in the long run as psychotherapy alone or with initial medication that was withdrawn. Because of the hospitalization and particularly rehospitalization findings, psychotherapy was much less expensive over a 4-year treatment period than traditional treatment with medications. Benedetti and Furlan (1987) reported from Italy and Switzerland a series of 50 severe schizophrenic cases treated with intensive psychoanalytic therapy (2-5 sessions per week) for 3 to 10 years by supervisees, with very good results in 80% of the cases. Suddath, Christison, Torrey, Casanova, and Weinberger (1990) studied the brains of monozygotic twins discordant for schizophrenia, and found more brain abnormalities of unknown origin in the schizophrenic twin. Contrary to their conclusion that this could not be due to the medication, the findings of brain abnormalities in the schizophrenic twin disappear if their data are statistically corrected for lifetime medication dosage. In other words, the medication produced the brain abnormalities. Enlarged ventricles result from the medication. The excess dopamine receptors found in the brains of schizophrenics have been demonstrated by animal studies to be the result of the medications (Porceddu, Giorgi, Ongini, Mele, & Biggio, 1986; Porceddu, Ongini, & Biggio, 1985). A recent study showed that patients treated with both traditional and newer neuroleptics had marked medication-induced hypertrophy as compared to drug-free patients and healthy volunteers (Gur et al., 1998). Startlingly, rigorous studies by the World Health Organization, controlling for social factors and using the same DSM criteria, show that five year good outcomes in developing countries that cannot afford to medicate patients occurred in 63% of patients, but only 37% in countries where schizophrenics are medicated (Whitaker, 2002, pp. 226-232). Conversely only one-third became chronic patients in developing countries, but two thirds in developed countries where they are all on medication. If the patient or the therapist or the setting want medication it can be used, but it should be withdrawn as rapidly as the patient can tolerate. In the end, all we have to offer is understanding, but that is a very great deal. Alexander, F.G., & Selesnick, S.T. (1966). The History of Psychiatry. New York: Harper & Row. American Psychiatric Association. (1980). Diagnostic and Statistical Manual of Mental Disorders (3rd. Ed.). Washington, DC: Author. Benedetti, G., & Furlan, P.M. (1987). Individual psychoanalytic psychotherapy of schizophrenia. In G. Benedetti, Psychotherapy of Schizophrenia (pp. 198-212). New York: New York University Press. Binder, R. (1938). Germany=s population policy. Eugenical News, 23-24, 113-116. Bleuler, M. (1971). Die Entstehung der Schizophrenie. [The Origin of Schizophrenia] (Symposium zum 100 jahrigen Bestehen der Psychiatrischen Universitatsklinik Burgholzli-Zurich am 3./4. Juli 1970 in Zurich.) Bern, Stuttgart, Wien: Hans Huber. Bleuler, M. (1978). 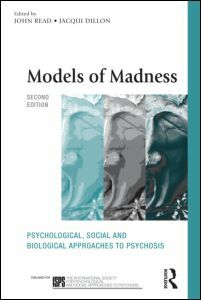 The Schizophrenic Disorders: Long Term Patient and Family Studies. New Haven and London: Yale University Press. Brockoven, J.S. (1972). Moral Treatment in Community Mental Health. New York: Springer. Breggin, P.R. (1990). Brain damage, dementia, and persistent cognitive dysfunction associated with neruoleptic drugs: Evidence, etiology, implications. Journal of Mind and Behavior, 11, 425-464. Breggin, P.R. (1994). Condemned by science: The role of psychiatry in the holocaust. In The War Against Children (pp. 137-156). New York: St. Martin=s Press. Ciompi, L. (1980). Catamnesic long-term study on the course of life and aging of schizophrenics. Schizophrenia Bulletin, 6, 606-617. Deikman, A.J., & Whitaker, L.C. (1979). Humanizing a psychiatric ward: Changing from drugs to psychotherapy. Psychotherapy: Theory, Research, and Practice, 16 (2), 204-214. Federn, P. (1943). 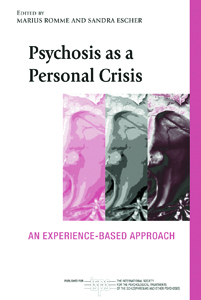 Psychoanalysis of psychosis: I. Psychiatric Quarterly, 17, 3-19. Gur, R.E., Maany, V., Mozley, D., Swanson, C., Bilker, W., & Gur, R.C. (1998). Subcortical MRI volumes in neuroleptic-naive and treated patients with schizophrenia. American Journal of Psychiatry, 155, 1711-1717. Harding, C.M. (1988, July). Chronicity in schizophrenia. Paper delivered at the International Association of Psychosocial Rehabilitation Services Conference, Philadelphia, PA.
Harding, C.M. (1995). The interaction of biopsychosocial factors, time, and course of schizophrenia. In C.L. Shriqui & H.A. Nasrallah, (Eds. 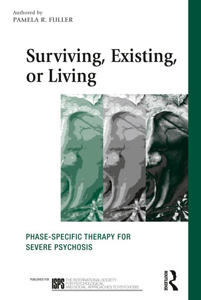 ), Contemporary Issues in the Treatment of Schizophrenia (pp. 653-681). Washington, D.C.: American Psychiatric Press. Harding, C.M., Zubin, J., & Strauss, J.S. (1987). Chronicity in schizophrenia: Fact, partial fact, or artifact? Hospital and Community Psychiatry, 38, 477-486. Hegarty, J.D., Baldessarini, R.J., Tohen, M., Waternaux, C., & Oepen, G. (1994). One hundred years of schizophrenia: A meta-analysis of the outcome literature. American Journal of Psychiatry, 151, 1409-1416. Karon, B.P. (1989). Psychotherapy vs. medication for schizophrenia: Empirical comparisons. In S. Fisher & R. Greenberg (Eds. ), The Limits of Biological Treatments for Psychological Distress: Comparisons with Psychotherapy and Placebo (pp. 105-150). Hilldsale, NJ: Erlbaum. Moran, M. (1993, Aug 6). Payment calculations under health care reform indicate need for diverse practice. Psychiatric News, 4. Porceddu, M.L., Giorgi, O., Ongini, E., Mele, S., & Biggio, G. (1986). 3H-SCH 23390 binding sites in the rat substantia nigra: Evidence for a presynaptic localization and innervation by dopamine. Life Sciences, 39, 321-328. Porceddu, M.L., Ongini, E., & Biggio, G. (1985). [3H] SCH 23390 binding sites increase after chronic blockage of D-1 dopamine receptors. European Journal of Pharmacology, 118, 367-370. Proctor, R. (1988). Racial hygine: Medicine under the Nazis. Cambridge, MA: Harvard University Press. Sartorius, N., Jablensky, A., & Shapiro, R. (1978). Cross-cultural differences in the short-term prognosis of schizophrenic psychoses. Schizophrenia Bulletin, 4, 102-113. Suddath, R.L., Christison, G.W., Torrey, E.F., Casanova, M.F., & Weinberger, D.R. (1990). Anatomical abnormalities in the brains of monozygotic twins discordant for schizophrenia. The New England Journal of Medicine, 322, 789-794. Whitaker, Robert (2002). Mad in America. New York: Perseus.